The U.S. spends about 50% more per person on health care, more than any other industrialized nation. Yet, the life expectancy in the U.S. is lower than other nations and our infant mortality rate and maternal mortality rate is much higher. Nearly 30 million people are uninsured and at least 40 million people cannot afford the cost of their co-pays and deductibles. Two-thirds of people who file for bankruptcy cite medical issues as a key contributor to their financial downfall — not because they don’t have health insurance, but because their insurance isn’t enough to protect them. The United States currently pays the highest prescription drug costs in the world and one in five patients skips doses or fails to fill prescriptions because of the expensive costs. 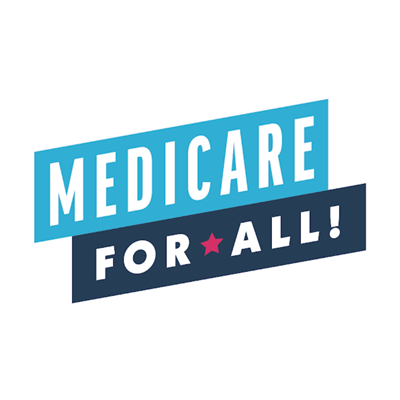 The Medicare for All Act of 2019 improves and expands the overwhelmingly successful and popular Medicare program by removing the profit motive, resolving the inefficiencies, and guaranteeing comprehensive and quality health care to every person living in the United States. The legislation provides comprehensive health care coverage including all primary care, hospital and outpatient services, dental, vision, audiology, women’s reproductive health services, maternity and newborn care, long-term services and supports, prescription drugs, mental health and substance abuse treatment, laboratory and diagnostic services, ambulatory services, and more. Enrollment in Medicare for All would not require any private insurance premiums. Upon receiving care, patients would not be charged any co-pays, deductibles, or other out-of-pocket costs. This legislation would allow Medicare to negotiate drug prices and substantially lower the costs of prescription drugs. It also authorizes Medicare to issue compulsory licenses to allow generic production if a pharmaceutical company refuses to negotiate. Seniors and people with disabilities would no longer need supplemental insurance or have to meet an income requirement to cover aspects of their health care. Unlike current long-term care, home and community-based services that maximize a person’s well-being and dignity will be prioritized unless the individual chooses otherwise. The legislation would prevent health care corporations from overcharging for the costs of their services and profiting from illness and injury. It prevents institutions from using payments from the program for profit, union-busting, marketing, or federal campaign contributions. The Medicare for All program would provide global budgets to all institutional providers to help contain the exorbitant costs present in the system today, and will ensure that health care spending reflects the actual costs of care. In 2018, Pramila launched the Medicare for All PAC to fight for universal health care and back candidates who will support single-payer health care.